Have you ever visited your local state fair? It's a treasure trove of some of the craziest, delicious recipes around. While the state fair is home to fun games like Whac-a-Mole and the Ferris wheel, the wildly inspired recipes are the main attraction for some people. 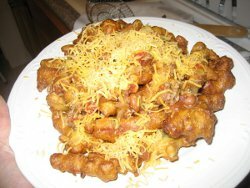 If you love a good funnel cake or corn dog, visit some of the recipes below. We've rounded up the best state fair-inspired recipes for you to try at home all year long. These copycat recipes are sure to be a hit at your next picnic or on a rainy day when you can't make it to the fair. There's everything you can imagine under those fairground tents. If you are looking for something savory, something sweet or something in between, this crazy carnival has it all. Want to recreate some of this magic at home? Try fixing yourself one of these 13 Crazy Easy State Fair Inspired Recipes in the comfort of your own kitchen. You'll impress everyone with your dream-come-true culinary skills. Keep it lighter and healthy by making simple substitutions. You'll love each and every recipe...they're all just so much fun. 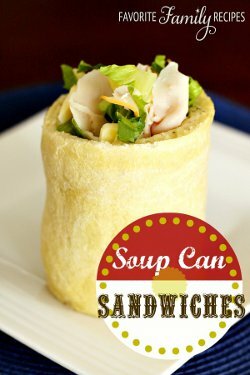 This State Fair Soup Can Sandwiches recipe is one that could only be dreamed up at a state fair. The bread of the sandwich is shaped like a soup can to hold the contents of the sandwich, making it not only beautiful, but fun to eat! Looking for more summer recipes? Check out The Best Drink Recipes: 13 Refreshing Easy Summer Recipes for You, a free and downloadable eCookbook! 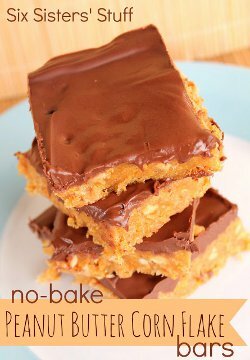 Don't wait until you head to your next state fair to enjoy these No-Bake Peanut Butter Corn Flake Bars. The crispy texture from the corn flakes works perfectly with creamy peanut butter, and everything is better with chocolate. Funky seasoned fries have always been popular at state fairs. 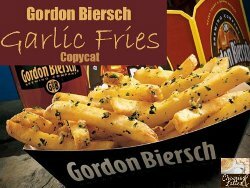 These Copycat Gordon Biersch Garlic Fries are just what you are looking for in a seasoned fry recipe. No need to serve these with a meal, because they make a great snack on their own! Something about the combination of the salty, briny pickle and the sweet, crunchy texture is out-of-this-world. State Fair Deep-Fried Pickles have been popular at state fairs since they were first introduced, and they'll be a major hit with your friends and family, too. Craving fried food? Try these 24 Homemade Donut Recipes: Copycat Krispy Kreme Donuts and More to get your fix! Rice Krispy treats are one of the easiest dessert recipes anyone can make. 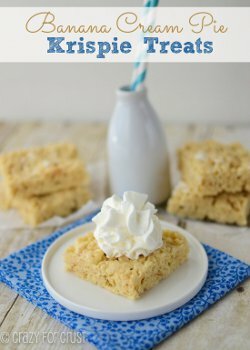 This unique Banana Cream Pie Krispy Treats recipe has been a hit across the country at state fairs, so you've got to give it a try. Unique and odd ice cream recipes are often found on state fair menus. 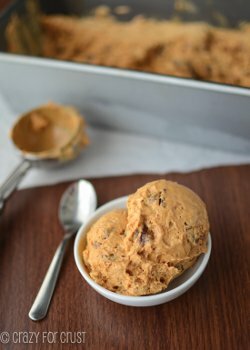 This Easy Dulce de Leche Ice Cream is exquisite in taste and will hit the spot on a warm summer afternoon. Okay, maybe churros weren't dreamed up in the United States, but they sure have become a hit at every state fair. 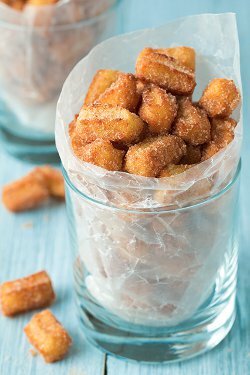 These Copycat Churro Bites are mini versions of the classic treat that won't last long once you make them! 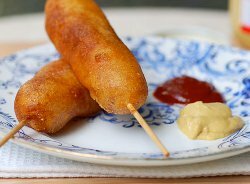 Bring the carnival home with this recipe for Homemade Corndogs. Fans of the state fair treat will love this yummy corn dog recipe. The batter is the perfect balance between crispy and fluffy for an authentic festival food experience. Crunchy on the outside, fluffy and tender on the inside. This State Fair Corn Ball Recipe is so easy and makes amazing poppable appetizers great for any party. Dip them in your favorite sauce for an unbeatable party appetizer your guests will go crazy for! Are you ready for some state fair fun? This fun recipe for Funnel Pancakes is sure to win a blue ribbon when you bake it for your next brunch or gathering. 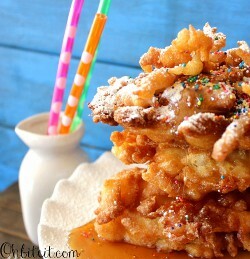 If you love that undeniable fluffiness of funnel cake, this simple recipe will be a morning treat you cannot resist. Celebrate the fun of the fair with this clever copycat recipe. 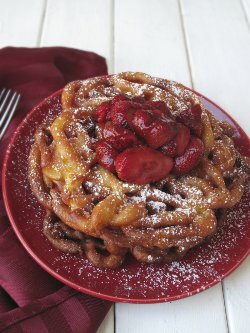 A divine mix of pastry and powdered sugar, State Fair Funnel Cake is a decadent dessert recipe both kids and adults will adore. We can't even believe it. State Fair Chili Cheese Corn Dog Fries...actually exists? This state fair copycat recipe is out-of-this-world amazing. If you're looking for a gut-bustingly good recipe, look no further. It's a magic trick of a recipe...not fried, but with a deep fried taste. If you love state fair food, this is the perfect recipe for you. 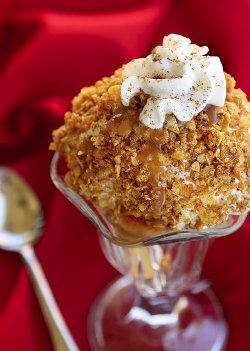 The special batter of crushed cereal, sugar, butter and corn syrup gives the impression of "fried" ice cream. What's your favorite recipe on this list? Be sure to let us know in the comments below.